Most people travel to get away from it all. Esperanza, an Auberge Resort, is the definition of a “getaway.” I took this photo from one of the suites at Esperanza. 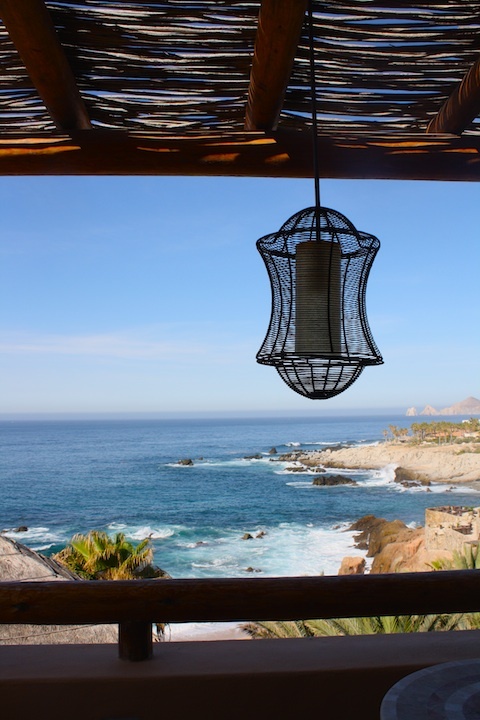 Every inch of this resort – from the eco-friendly palapa roofs to the local crafted furniture- reminds you that are indeed in Cabo but in the most luxurious way. And not to mention the sweeping views of the ocean and Cabo’s unique rock formations. Hope you enjoy this photo getaway!